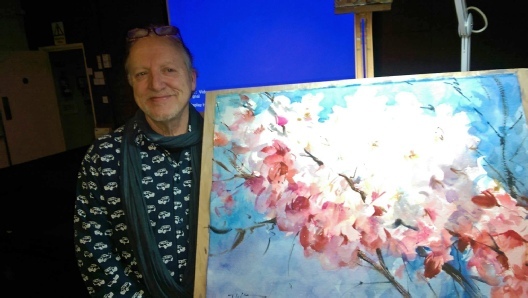 A massive 'thank you' to Trevor Waugh who this evening demonstrated and entertained with this glorious painting of cherry blossom. We had 80 plus member turnout on the evening!! 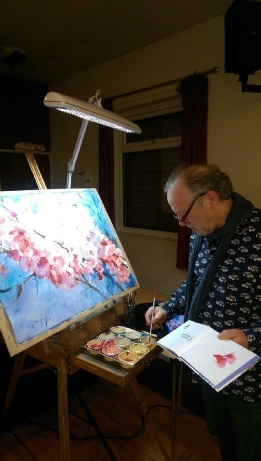 Trevor's (who, incidentally, has welsh ancestry) impressionistic, loose, artistic style brings light and life to his subjects - portrait, landscape, flowers, figurative, and street scenes. This was certainly true as the members watched an awesome painting 'blossom' before their eyes. 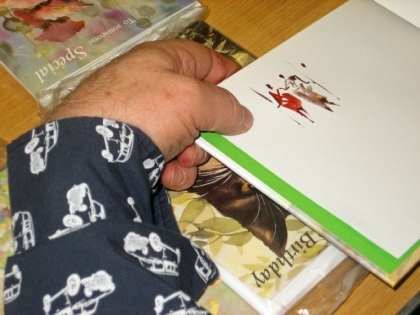 His commentary was clear and comprehensive, and included invaluable info on technique, colour mixing and materials, as well as amusing anecdotes. China white will never be considered a no-no again! 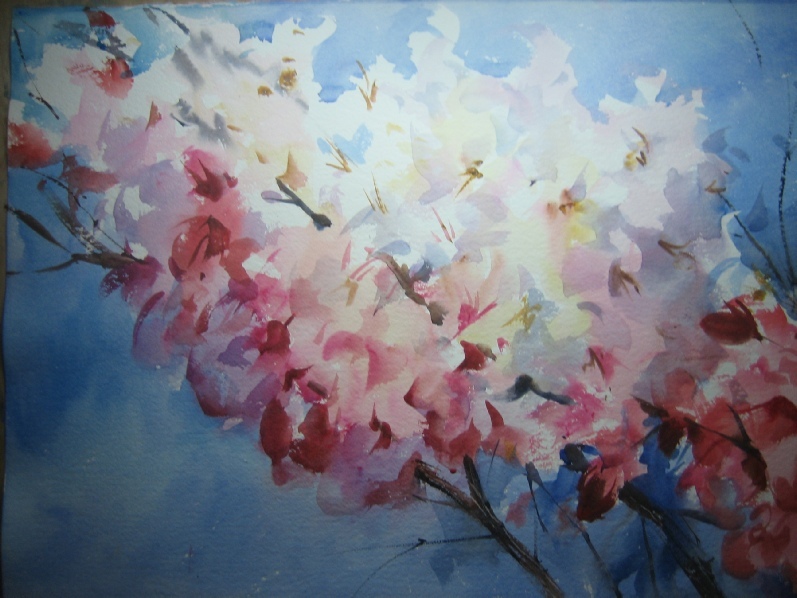 This glorious painting was sold 'off the easel' - a testament to it's awesomeness! !